Discussion with co-hosts Lysander Jim, MD and Mauro Zappaterra, MD, PhD. 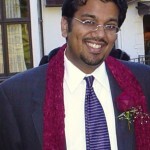 Dr. Sunil Kumar Aggarwal, MD, PhD, is a speaker at the 2006 NORML National Conference. This discussion was broadcast on CSPAN Radio. On the Panel ‘From Grassroots to Grasstops Activism, Dr. Sunil Kumar Aggarwal describes his trajectory of coming from Muskogee, OK where ‘marijuana’ was a ‘bad word’ to the realizations he had regarding cannabis as medicine. In the second audio clip, a podcast with Michael Ostrolenk, Dr.Sunil Kumar Aggarwal, MD, PhD. summarizes the medicinal uses of Cannabis and its biochemical mechanisms beneficial in treating aliments in numerous bodily systems. Cannabinoids are naturally occurring chemicals in the human body and serve as a critical regulator in its neuro- transmitter system. Cannabinoid-based Botanicals are 37 million years old, co-evolved with humans, and have been used by humans as medicine for thousands of years, yet in 1937 were criminalized by an act of “Prohibition” on the part of the U.S. Congress.